WASHINGTON, D.C. (BNc)- A religious research released Monday which tracked trends in American religion shows that the U.S. Protestantism is in meltdown and headed for minority status. We ask brethren for reactions. The Pew Forum on Religion and Public Life published results from its “U.S. Religious Landscape Survey,” based on interviews with more than 35,000 Americans age 18 and older. If changes from one Protestant group to another were factored in, 44% have either switched their religious affiliation, adopted a religious affiliation after having none, or left a specific religious faith altogether. One in four Americans ages 18-29 said they had no religious affiliation whatsoever. American Protestantism is the great loser in the survey, with only 51% reporting they belong to a Protestant denomination. 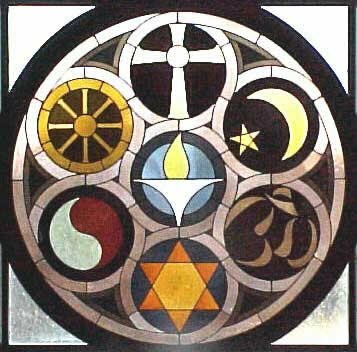 More men than women claim no religious affiliation. Nearly 20% said they have no formal religious affiliation, compared with 13% of women. BNc has asked a number of brethren to evaluate the study and share their impressions of what these results mean for American churches of Christ and how this can and should affect their evangelistic and edificational efforts. Most will likely add their comments below, so check back for updates with their perspectives. Prison Outbreak … in Reverse! after highschool i left church for college… six years later I woke up. Now i’m a youth minister and I am committed to help my kid’s parents ensure that this doesn’t happen to them. I feel i have a plan. course It’s not my plan, but rather, God’s… teach the gospel. give them a reason to stay faithful… this… is what I lacked.